24th Annual Conference on High Risk & Critical Care Obstetrics is organized by Symposia Medicus and will be held from May 09 - 11, 2019 at Naples, Florida, United States of America. Additional details will be posted as soon as they are available. Retina Case Conference 2019 is organized by University of Miami Health System and will be held on May 18, 2019 at The Ritz-Carlton Golf Resort, Naples, Florida, United States of America. This CME Conference has been approved for a maximum of 5 AMA PRA Category 1 Credits™. Course description: Retina Case Conference 2019 is designed to bring together retina specialists to share challenging medical and surgical cases and discuss their diagnosis and management. Through discussion of all cases, we hope to improve patient care for a variety of retinal conditions. Course Objectives: Upon completion of this program, participants should be able to: • Identify a variety of challenging medical and surgical conditions • Enumerate a differential diagnosis for various retinal pathologies • Analyze different imaging modalities and management strategies for complex retinal conditions • Develop skills for improved medical care of patients with retinal disorders. Additional details will be posted as soon as they are available. American Society for Mohs Surgery (ASMS) Annual Meeting: Focus on Skin Cancer is organized by American Society for Mohs Surgery (ASMS) and will be held from May 23 - 26, 2019 at Naples Grande Beach Resort, Naples, Florida, United States of America. Additional details will be posted as soon as they are available. Southeastern Society of Plastic and Reconstructive Surgeons (SESPRS) 62nd Annual Scientific Meeting is organized by Southeastern Society of Plastic and Reconstructive Surgeons (SESPRS) and will be held from Jun 08 - 12, 2019 at The Ritz-Carlton, Naples, Naples, Florida, United States of America. Additional details will be posted as soon as they are available. Southern Academy of Periodontology (SAP) 2019 Annual Meeting is organized by Southern Academy of Periodontology (SAP) and will be held from Jun 20 - 23, 2019 at The Ritz-Carlton, Naples, Naples, Florida,United States of America. 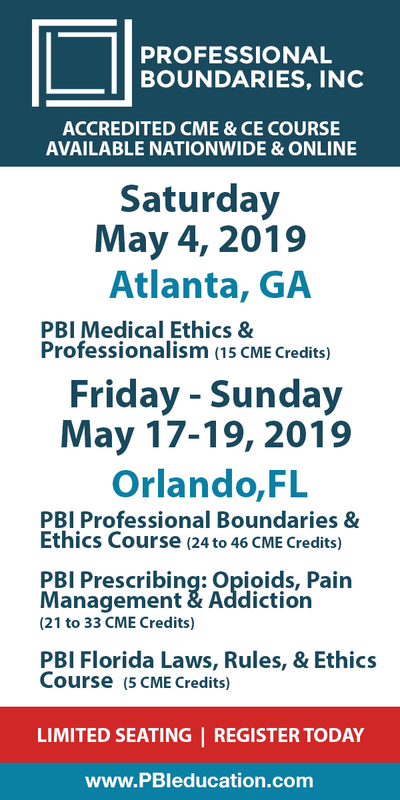 Course Description: Implant Complications are becoming more common as the number of implants being placed is drastically increasing as well as the number of clinicians with less surgical/prosthetic experience placing and/or restoring implants today. A 10 year follow-up study reported complications occurring in 50% of the implants placed. The lecture will have two parts: the first will discuss the scope of the problem and identify the etiology, prevention, and treatment of various common and uncommon complications. The second part will discuss the most common biological complications: Mucositis and Peri-implantitis. The etiology, prevention, and treatment of these implant diseases will be discussed in detail. 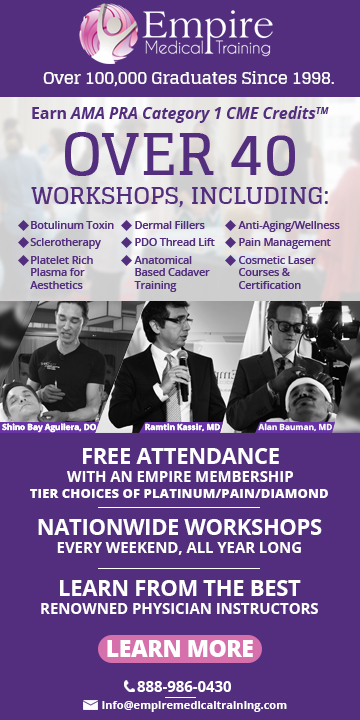 A successful regenerative treatment protocol will be presented which can predictability save many implants that are currently being removed because of advanced periimplantitis. Additional details will be posted as soon as they are available. 2019 Annual Meeting Florida Radiological Society (FRS) and Florida Radiology Business Management Association (FRBMA) is organized by Florida Radiological Society (FRS) and Florida Radiology Business Management Association (FRBMA) would be held during Jul 19 - 21, 2019 at The Ritz-Carlton - Naples, Florida. American Association of Nurse Anesthetists (AANA) Leadership Summit is organized by American Association of Nurse Anesthetists (AANA) and will be held from Nov 08 - 10, 2019 at Naples Grande Beach Resort, Naples, Florida, United States of America. Additional details will be posted as soon as they are available. Survey of Current Issues in Surgical Anesthesia Conference is organized by Cleveland Clinic Center for Continuing Education and will be held from Dec 02 - 06, 2019 at The Ritz-Carlton, Naples, Naples, Florida, United States of America. Additional details will be posted as soon as they are available. Mayo Clinic Women’s Imaging Review Course 2019 is organized by Mayo Clinic and will be held from Dec 09 - 13, 2019 at The Ritz-Carlton, Naples, Naples, Florida, United States of America. Credit: Mayo Clinic College of Medicine and Science designates this live activity for a maximum of 28.5 AMA PRA Category 1 Credits™. Physicians should claim only the credit commensurate with the extent of their participation in the activity. General Session = 25 credits; Molecular Breast Imaging Break-out Session = 3.5 credits. Self-Assessment Modules (SAMs): 20 Self-Assessment Modules (SAMs), worth 1.00 SAM credits, qualified by the American Board of Radiology in meeting the criteria for self-assessment toward the purpose of fulfilling requirements in the ABR Maintenance of Certification Program are offered at this course for a maximum of 20 SAM credit hours Course Description and Intended Audience: The Mayo Clinic Women's Imaging Review Course is a postgraduate medical course that will provide practicing radiologists and radiologists-in-training with current information on the imaging diagnosis and management of breast and gynecologic disease. The didactic component of the course will focus on standard practices and core knowledge of imaging interpretation, while emphasizing emerging techniques and current controversies in breast and pelvic imaging. A multidisciplinary approach will be utilized, with speakers from breast and gynecologic surgery, as well as discussion of breast pathology and breast imaging legal topics. Course Highlights: • Practicing radiologists and radiologists-in-training will be provided with current information on the imaging diagnosis and management of breast and gynecologic disease • A multidisciplinary approach will be utilized, with speakers from breast and gynecologic surgery, as well as discussion of breast pathology and breast imaging legal topics • Standard practices and core knowledge of imaging interpretation with emphasis on emerging techniques and current controversies in breast and pelvic imaging will be discussed Course Objectives: Upon the conclusion of this program, participants should be able to: • Review and discuss challenging cases in the female pelvis • Recognize MR-guided focused ultrasound ablation of the pelvic pathology • Describe various Radiation Risks • Assess the “when” and why” when it comes to imaging a transgender patient • Understand a more in depth look at the biology of breast cancer • Classify disciplinary triggers when it comes to the breast imaging and the Board of Medicine • Identify the many faces of genetic defects • Compare contrast enhanced mammogram to MRI Time: 6:15 am - 12:15 pm Additional details will be posted as soon as they are available.